It’s been two years that I have been taking you to the offbeat places and sharing with you the untold stories of the era bygone. And recently when I was scrolling through the books on history, a revolutionary writer filched my attention, Mr PN Oak, a crusader in terms of thoughts. One of his books which declares Taj Mahal as the temple palace, made me ponder that how hard would it be for the people to unleash the love saga of Shah Jahan and his beloved Mumtaz with it? Quite challenging! While the history of histories may take a new shape, let me share with you my journey to a masterpiece in Gujarat which is also a dream etched with love and promises. Akin to the anecdote of the Taj Mahal that states, Shah Jahan had amputated the arms of the artisans, the masters of this stepwell were also executed by the Mughal ruler. Adalaj Vav, an epitome of promise, enamoured by the masterstrokes of art, engineering, virtues and tales, has completely left me in awe. I wonder will it be the stimuli for your next trip. Coming back to the wonder, it not only helped people in reaching the groundwater level but also in preserving the rainwater. Also, apart from being the resting place for travellers, it also was the meeting point for the women where they could worship, chat and save themselves from the scorching heat. See, I told you ancient ones were genius! If you are thinking when all the boons were in the past, then why visit Adalaj vav? 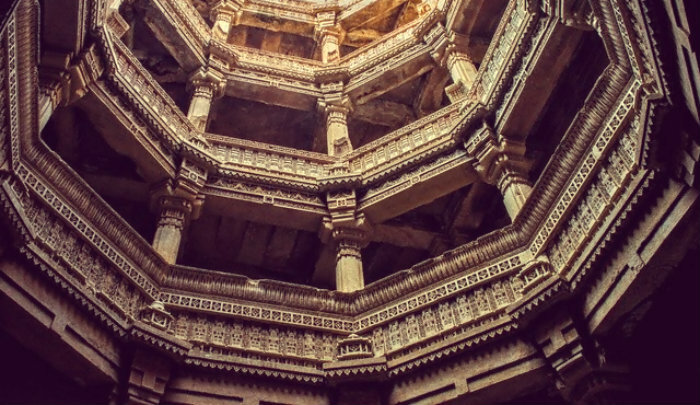 Yes, you shouldn’t visit Adalaj Vav, if you do not fathom the mute words which the age-old amazing architecture speak and the poems which the intricate carvings recite. You know in Adalaj Vav when you descend, the whole visual composition changes with every step. From the assembly of columns and beams to the intensity of light each floor tells a different story. And yes, what makes Adalaj Vav even more special is the tale which has stayed in the hearts of the locals since its construction. I stay behind for I cannot ignore the painful uproars. For if you satiate my people and calm their groans. With this ode, I know I have already tuned in a sad back score. But what Rani Roodabai, the queen of Rana Veer Singh of Vaghela Dynasty did will simply blow your mind. Let’s time travel to the 16th century when Mughal Ruler Mahmud Begada killed Rana Veer Singh in a war to capture Dandai Desh (ancient name of the place). Like Allaudin Khilji (Chittorgarh fort), Mahmud Begada too was allured by the beauty of the queen of Dandai Desh. This is the reason that some folklores say that it was because of the splendour looks of Rani Roopba as she was fondly called, that the Mughal ruler attacked. But don’t you feel that this is only the after added special effect to the story? I too sail in the same boat as the reason for me was likely to be the expansion of his empire. Though, it is right that the folk tales about the exquisiteness of Rani Roopba had crossed the borders of her kingdom and the mesmerized the Mughal ruler. And you can anticipate what must have happened next, but wait that is not all. So, after the death of Rana Veer Singh, Mahmud Begada proposed Rani Roopba to be his queen and you would not believe that she accepted the proposal, but on one condition. Falling in the present Gandhinagar district, Dandai Desh was the land of perennial drought. To end up the woes of his people, Rana Veer Singh had commissioned a stepwell in Adalaj. But when he died, this stepwell was not complete. This reason impeded the queen from performing the Sati ritual and to marry the murderer of his husband if he completes the half-finished Adalaj Vav. Just imagine how strong-willed she would have been, she set her Amour proper on one side for the welfare of people. But the tragic tale does not end here, it is coupled with even more pain. After the Vav was finished, she jumped into the well to reunite with her husband. I cannot envisage, how heart-broken Mahmud Begada would have been? But thank God, he was not vindictive and did not destroy this genius work after being dejected with the sad happening. 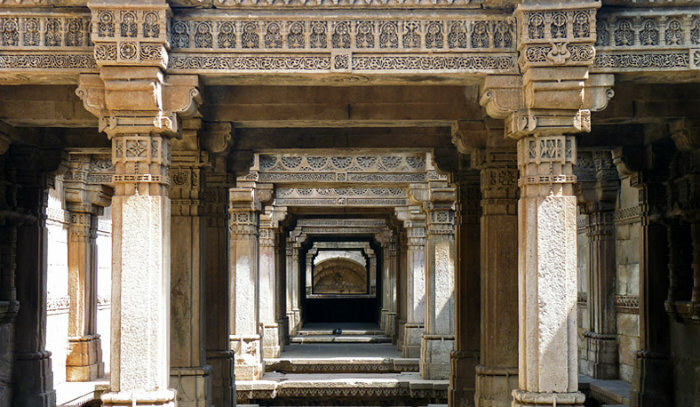 However, after the masters of this stepwell affirmed him positively that they could replicate this masterpiece, they were executed and buried in the compound of this stepwell. OMG! Such a great drama it would be if this anecdote is recreated on screen. What Say? 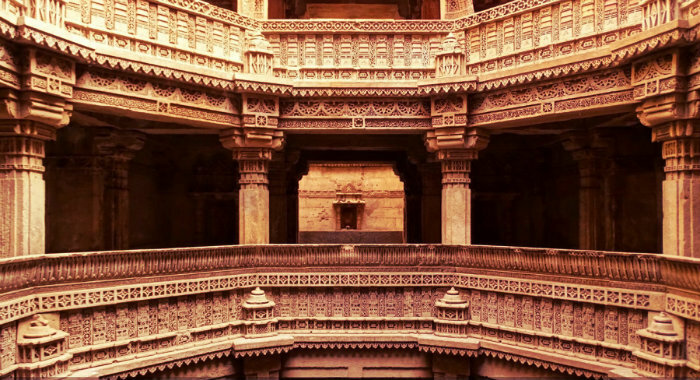 I would just end up saying that Adalaj Vav is almost like the shrine of water which should not be missed.